Once informally known as the Klee Room for the Paul Klee paintings that hung there in years past, a second-floor alcove in the Phillips house is now home to Washington artist Jean Meisel’s Intersections project, titled 50–65 Horizon Line. Meisel, who well recalls the space’s Klee period, has been visiting The Phillips Collection since the 1950s. The jewel-like alcove offers the perfect setting for more than 50 of the painter’s intimate, small-scale works, ranging from 1 1/2 inches to 6 inches. The landscape paintings are hung side by side so that their shared horizon line wraps around the room. The artist has produced hundreds of these serene watercolors since the 1970s. Upcoming 2014 Intersections artist Vesna Pavlovic, whose work will be on view in late May, spent last week in the museum’s library and archive, exploring not only the collection but also the space. Head librarian Karen Schneider guided her through the materials. Using installation photograph negatives from 1960s exhibitions by Alberto Giacometti and Mark Tobey, she observed the results of combining images. 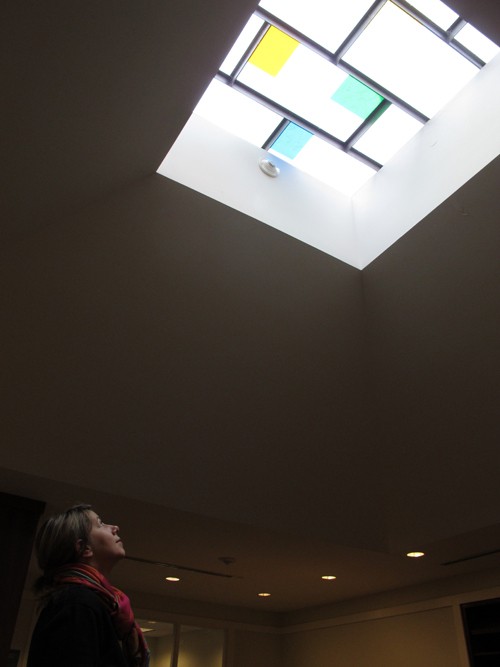 She also experimented with the transparency and light of our skylight from the courtyard above. For our second highlighted photograph from Shaping a Modern Identity: Portraits from the Joseph and Charlotte Lichtenberg Collection as part of FotoWeekDC, we travel to the Midwest and the city of Chicago for an intimate portrait by Harry Callahan. Harry Callahan, Eleanor, Chicago, 1949. Gelatin Silver Print. © The Estate of Harry Callahan, Courtesy Pace/MacGill Gallery, New York. Callahan was one of the most innovative and influential photographers of the 20th century. Throughout his long career, he repeatedly found new ways of looking at and representing the world in photographs that are elegant, visually daring, and highly experimental. His carefully-constructed photographs explore a deep interest in formal visual elements, one which required a significant amount of time to perfect. Callahan often turned to his wife, Eleanor, as the subject of his photography. “I never refused when he wanted to take a picture,” she once said. “I never complained, whatever I was doing. 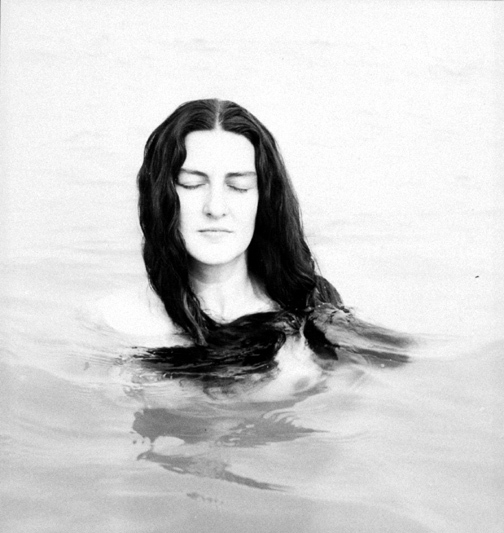 If he said: ‘Come quick, Eleanor — there’s a good light,’ I was right there.” In Eleanor, Chicago, the viewer observes Eleanor enigmatically, peacefully and mostly submerged in the waters of Lake Michigan, her eyes closed and her hair cascading down into the water. The strands join the ebb and flow of the current around her as the stark whiteness of her body blends into the water, seeming to want to engulf her completely. Her stark black hair is contrasted against her porcelain skin and the reflecting surface of the water provides an evocative formal composition. Although one could interpret this as an intimate moment captured by a husband of his wife, Callahan is more focused on the formal components of the image –composition, line, tones, etc.–instead of exploring the psychology of Eleanor. Callahan carefully posed Eleanor with her eyes closed, preventing the viewer from sharing any direct, emotional contact with her. Although Eleanor is the anchor of the composition, Callahan removes the individuality from the portrait, eschewing sentimentality and familiarity to highlight the purely aesthetic.